The key issues surrounding collateral warranties are examined from the viewpoint of their potential beneficiaries by Shaun Tame, Counsel, Dentons. A collateral warranty is a short contract which creates legally enforceable rights in favour of the beneficiary of the warranty where otherwise the beneficiary would not have satisfactory rights of recourse against the warrantor. Warranties promise performance of an underlying contract between the warrantor and a third party, in respect of which the beneficiary has an interest, eg a building contract. The beneficiary may be a developer, a funder, a purchaser or a tenant of the finished development. A developer is likely to be a beneficiary but there will also invariably be other beneficiary classes to whom the warrantor will be required to grant warranties. Accordingly, the developer will wish to make sure that warranties in favour of them are going to be in a market norm form so as to be acceptable to those other beneficiaries, otherwise his ability to dispose of the development may be compromised. The promise to perform the underlying contract being warranted is fundamental. It needs to amount to an unqualified promise by the warrantor that he has performed and will perform his obligations in the underlying contract. This promise should not be subject to qualification, eg that the warrantor will use reasonable skill and care to perform those obligations. Such a qualification is unnecessary because the underlying contract will already stipulate whether or not the warrantor’s performance of those obligations is subject to reasonable skill and care. Having a further layer of skill and care imposed by the warranty on such obligations will result in uncertainty should there be a claim, layering one level of skill and care on another. It may qualify an obligation inappropriately in the underlying contract. For example, in a typical building contract the obligation to carry out physical works is not subject to that caveat, likewise the obligation to maintain insurance. A market norm warranty is only going to be as effective as the contract it warrants. Therefore the developer will wish to make sure that that contract is in a market norm form. Are there any limitations or exclusions in it? Is there anything in it which undermines what is promised on the face of the warranty, given the usual provision in a warranty that the warrantor may rely on any defence available to him under the contract in the event of a claim under the warranty? The developer will need to make sure that the contract in question contains the right obligations to provide warranties. While it is should not be necessary in strict terms (because the underlying contract should deal expressly with this) it is invariable practice for the warranty to stipulate the degree of skill and care to be exercised in the performance of services performed in the underlying contract. This wording should match the equivalent wording in the underlying appointment; if it does not then the wording in the underlying contract will likely prevail. The required standard of skill and care to be exercised in the performance of services should be that of a competent, qualified consultant of the relevant discipline to the services being performed, who is experienced in performing services such as the services in question in connection with developments such as the development in question. Warranties usually contain a clause stating that under the warranty the warrantor does not undertake to be liable to the beneficiary for more onerous obligations than those owed under the contract or for a longer period. Warranties usually state that in the event of a claim the warrantor may rely on any defence or limitation available under the underlying contract. These are perfectly reasonable statements from many perspectives and are often necessary in order for the warranty to be within the scope of the warrantor’s professional indemnity (PI) cover. There is, however, a ‘but’. If the relevant clause states that the warrantor owes to the beneficiary no greater obligation than he owes under the contract then the warranty should state (in order to make it clear that such obligations are owed to the beneficiary) that the warrantor owes the equivalent obligations and gives equivalent benefits to those he would have owed/given had the beneficiary been a party to that contract as a ‘client’ but without the beneficiary being liable to perform any of the client’s obligations, eg payment. The wording should state that the clause does not derogate from obligations which should stand independently under the warranty taking effect, eg step-in and other clauses such as the copyright licence or the assignment clause. This emphasises the need for the wording of the relevant clauses in the warranty to reflect the equivalent clauses in the contract, eg the reasonable skill and care clause. If the wording of the warranty promises more than the underlying contract it is likely to fail. It is a ‘must have’ for a collateral warranty to exclude any liability on the beneficiary’s part for payment of any sums due under the contract in the event of a warranty claim. The usual wording is that the warrantor may not counterclaim or set off any sums which are claimed as due in the event of a claim under the warranty, failing which such sums could well be claimed successfully by the warrantor. A warranty should include a clause granting a copyright licence in the documentation produced by the warrantor under the contract. Copyright licences are stand-alone grants under the warranty rather than ‘obligations’ to be performed under the contract, separate from the grant to the client under the contract. Without such a licence the beneficiary probably would not have a licence. Sometimes the copyright licence in the contract is conditional on all sums being paid to the warrantor under the contract. A beneficiary will find this unacceptable because he is not responsible for paying the warrantor and doesn’t want an argument about whether the copyright licence in the warranty is conditional/withdrawn. The usual way to deal with this is to ensure that the underlying contract contains an unconditional copyright licence. Alternatively the warranty licence should be expressed to be unconditional and independent of the copyright licence in the contract. Warranties are conventionally executed as deeds and contain statements of consideration received by the warrantor in return for granting the warranty. It is normal for a warranty to stipulate the period in which a claim may be brought under the warranty, eg up to and including 12 years from practical completion. However, if the underlying contract has been executed under hand and is not then qualified so as to have a 12-year limitation period, then the longer warranty limitation period is unlikely to be effective, since the warranty will in all probability include a provision for the warrantor to rely on any limitation under the contract. The answer is to align the warranty and the contract. If the warranty states that despite the underlying contract having a shorter limitation period the longer limitation period under the warranty will prevail then a claim outside the period in the contract could well face PI insurance coverage issues. It is also usual for the limitation clause to state that claims may not be brought after 12 years. It is preferable to make it a positive right such that it is stated that claims may be brought for up to but not after 12 years. These entitle the beneficiary to step into the underlying contract in place of the warrantor’s contract counterparty, eg to replace the employer under a building contract. The purpose is to allow the beneficiary to step in and complete the development. 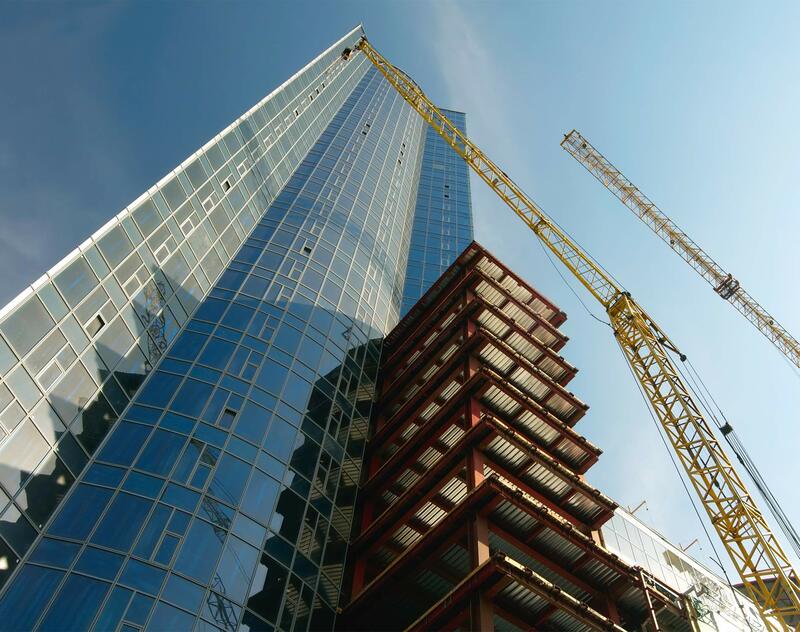 Therefore, they will be granted in warranties to those who have a proprietorial interest in the ongoing development prior to practical completion, so will be found in warranties in favour of developers and funders. The warranty should be expressly clear as to who has priority in the event that more than one beneficiary has step-in rights in respect of the same contract. The party who is one up the contractual chain from the contract should have the priority, eg a funder into a developer’s building contract or the employer under the building contract into a sub-contract. A step-in clause should be expressly clear as to the notice period within which the step-in must be exercised, eg 21 days from the date of notice from the warrantor informing the beneficiary of his intention to terminate his contract at the end of that period. The clause should state that if a right of termination within a shorter period exists under the contract then it is deemed to extend to run until the notice period in the warranty has expired. It is also conventional that the warrantor’s statutory right to suspend performance on notice (usually seven days) is not so extended. The beneficiary will want to know what liabilities he will assume if he steps in. Therefore it is desirable for the warranty to require the warrantor to state the breach and the extent of the outstanding obligations due to him under the contract, usually outstanding payments. This may not actually solve the problem in the event of a step-in but at least it provides some visibility and a setting of expectation on the part of both the warrantor and the beneficiary. The underlying contract should contain an express requirement for the warrantor to maintain PI insurance. Assuming that it does, an equivalent clause in the warranty should not be strictly necessary; nevertheless such clauses are market norm. The clause needs to describe the type of insurance that is required, its level and the type of level (each and every claim or aggregate in the policy period). The obligation to maintain such insurance should equate to the period within which claims may be brought. It usually contains the proviso that it is available to insureds of the warrantor’s profession (or business) at commercially reasonable rates and on reasonable terms, and that increases in premiums due to the warrantor’s claims record should not be taken into account when determining what are reasonable rates. Funders tend to require this. There should be an obligation to provide documentary evidence that the required insurance is in place, eg a broker’s letter. This article first appeared in the Construction Law journal on 1 October 2017 (Cons. Law 2017, 28(8), 30-32).